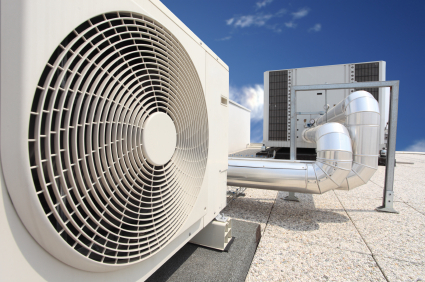 Obesity has been linked by some with the constant use of central air conditioning. I’m not sure i’d go that far, but it does help us maintain a comfortable sedentary existence which is generally the cause of a lot of our health problems as a society. Comfort is killing us. There’s usually a struggle to find a way to design a house with livable and usable outdoor space while expecting the ‘inside’ of the house to stay airtight all the time. What about the dust? How would you stop the cold air from escaping? There are lots of alternatives to central air. It’s silly and selfish to keep a big indoor space cool when there’s no one in it. Our bodies have not evolved with the luxury of a constant and perfect climate. We store food to have spare energy to burn when it gets a little colder than we’d like, or when there are days when food is scarce. Ramadhan is round the corner and as usual people will gain weight. There isn’t an easy answer to being healthy and living sustainably as a society both in terms of bodily and economic health. We have to accept the reality that there are compromises that have to be made. A little less comfort can be a good thing, but I still don’t want to move. Change is hard and i’m comfortable right now. Hello Barrak, I just wanted to tell you that I think you are really talented and that you are touching on topics that are critical and should be addressed. I am an architect doing a master degree in sustainable environmental design, what i would like to say that the current practice and the utter dependece on ac for such a long time have scripted and influnced our expectations from what an indoor environment should provide . Wherever we go we expect the same constant 22 degrees. And it is really sad and i’m not talking in terms of energy consumption or environmental impact, but in terms of how it has stripped architectural experience and quality away from our built environment and teaching our bodies to find this monotony comfortable. Change is difficult but us as humans we can highly adapt to any given situation and we are such creative creatures that we can figure out ways to cope. I think what we should do is to start adding environmental qualities to our buildings, to redefine what became the norm and by time people will start to appreciating this new approach and start perceiving It not only as comfortable but also as pleasurable. You are absolutely right about the capacity of the human body to adapt to changes in temperature, humidity and so on. The paper mentioned says that when we’re in stasis for so long because the climate control is always the same that our adaptive mechanisms (shivering, heating up, etc) don’t work and they don’t burn any calories. I’m not sure if I buy that to the extent that it’s a cause of obesity, but i’m more interested in the idea that we’ve stopped trying to even consider fluctuating temperatures. A passively cooled space can be pleasant at the right times even in summer, as long as you don’t expect it to be as cool as an air conditioned indoor space. A breeze, some water vapor, the sound of birds and leaves rustling. That’s what i’m suggesting is missing in most houses in Kuwait and I think it’s a shame because it’s worth giving up some control for that. Not because it’s a romantic idea, but because it’s just healthier spiritually and literally. In fact, in some houses, because of shutters and other reasons, there’s almost no natural light in the house. It’s literally a sealed environment. You can’t tell what time of day it is or what the weather is like outside. On the other hand I don’t really believe that educating people about the solutions is ever going to make any real, lasting change by itself. A few people might try it, and it might even work, but that’s just working the edges. We need to abolish the electricity, water and petrol subsidies. I’m going to keep shouting this until it gets done because it’s such a terrible idea to subsidize them in the way that we do. Once it costs a lot to air condition a big house people will start to think seriously about other ways to do it. It’s really the only way. I agree that practicing sustainable living wont spread much until the government gradually, or suddenly, abolish those subsidies or the effects of peak oil start to change the world insha’Allah. This doesn’t decrease the importance of educating people about sustainable living today. When the demand for such knowledge increases, we are going to need teachers with substantial local experience. Thanks for your comment. Peak oil is a controversial topic. Personally, I think we’ve hit it already and only the fact that higher prices made drilling in once unfeasible areas (arctic, shale, etc) is adding some more supply that wasn’t there before. There’s a lot of volatility in the near future and whatever happens we only have enough oil to last a few more decades (i’m one of those who believes that we’re vastly overstating our reserves, along with the rest of OPEC). It’s really great that there are people interested even before we have a desperate need to implement serious sustainability ideas. But for now, with energy being so artificially cheap, most people don’t care and I don’t blame them. Hello Barrak, I happened to come across your blog by mistake but let me tell you it was a good mistake. Plenty of good sensible reading and this is one topic I wanted to share some valuable insights. Where have all the window airconditioning apartments/villas gone ? The constant blow of central airconditioning air has created havoc in our lives – asthma, Psoriasis, dandruff to name a few, Also the future generation of Kuwait will never know what a balcony or window a/c was ! !